Imagine a large technical construction suspended above your head. 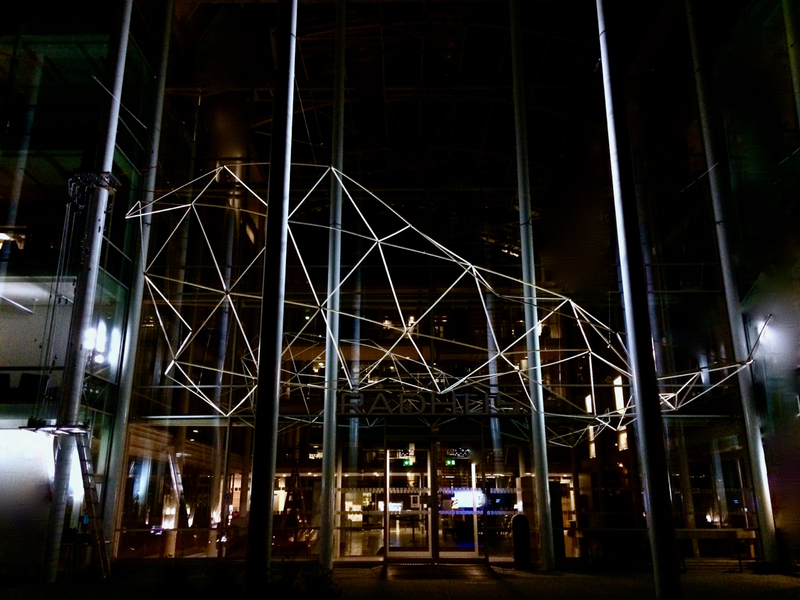 Although it is a kinetic structure composed of lightweight articu lating tubes hanging from thin wires, it seems at times almost animal-like or even human. Polygon is a geometric landscape that moves organically and adjusts its shape and balance unpredictably. Visitors can observe the slowly contracting and expanding structure in the busy shopping mall Hoog Catharijne.